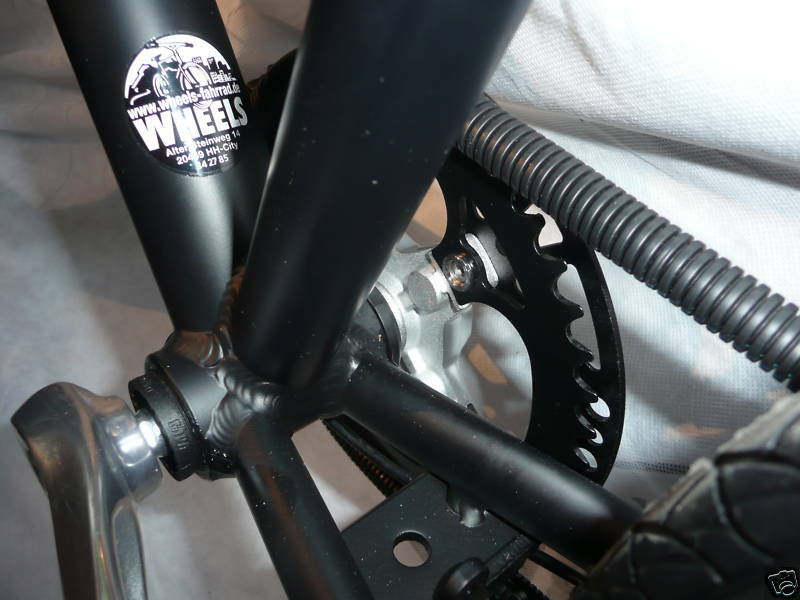 The ChainRunner is a completely new kind of chain guard for bicycles. It has a minimalist design and is elegant in use. It guarantees full protection for the chain itself and soiling from the chain in use. The ChainRunner rotates with the chain. It consists of a slotted casing made of highly flexible corrugated tube, especially widened and with a high rigidity. 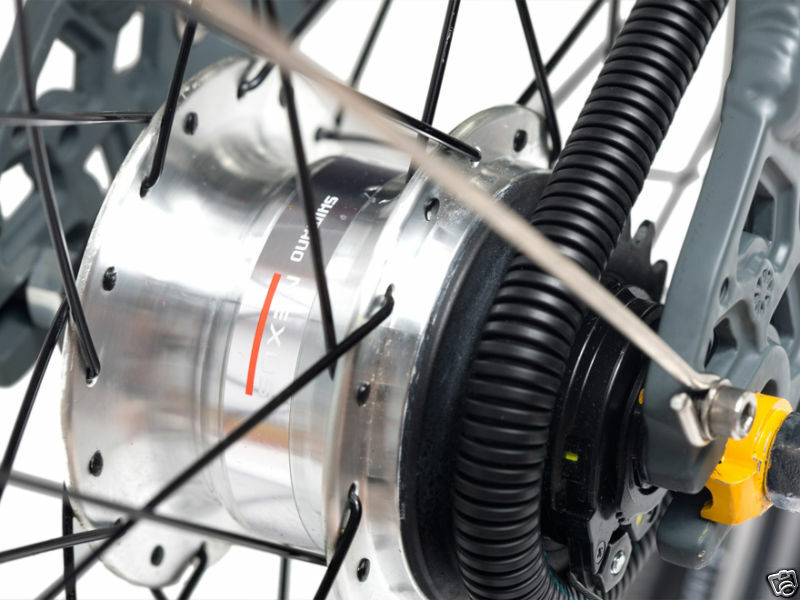 The ChainRunner can be used on almost all sorts of hub gears. 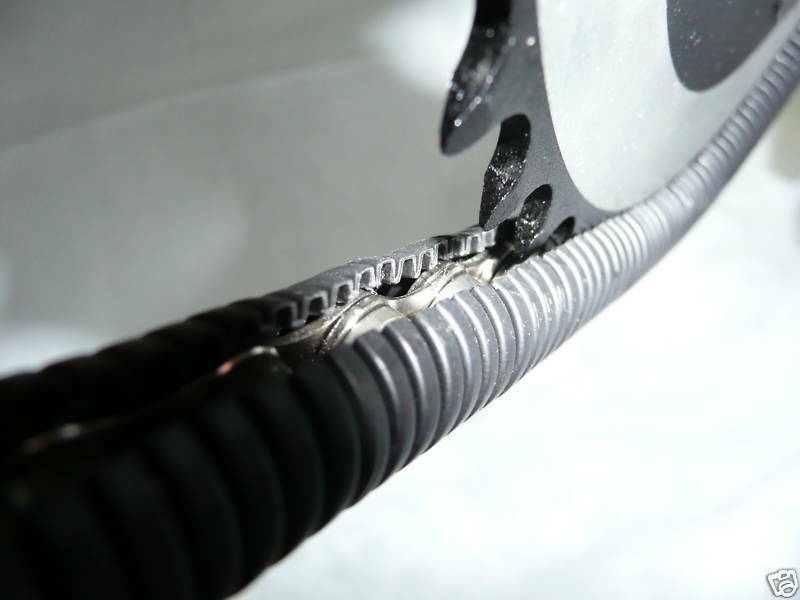 It is therefore the perfect solution for use in the repair of a broken chain guards. 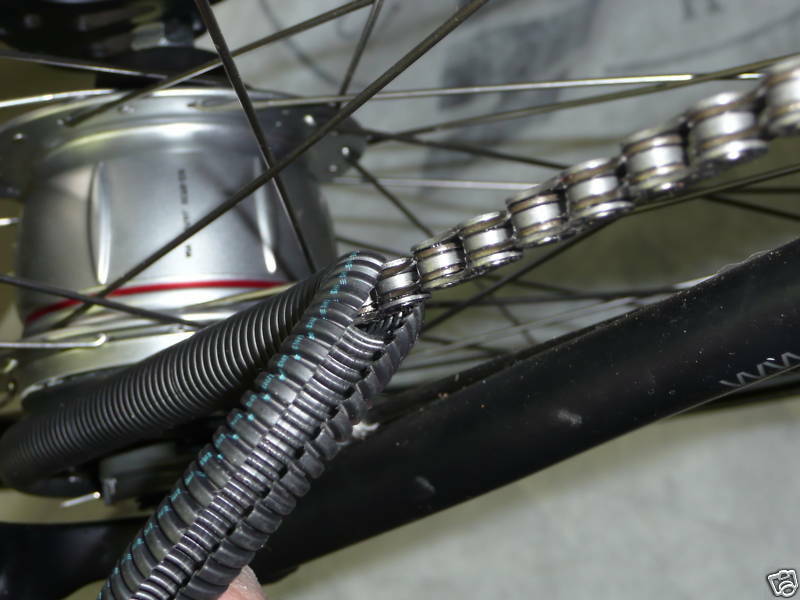 Using the ChainRunner lets your hands and clothes stay clean while repairing or folding up the bike. 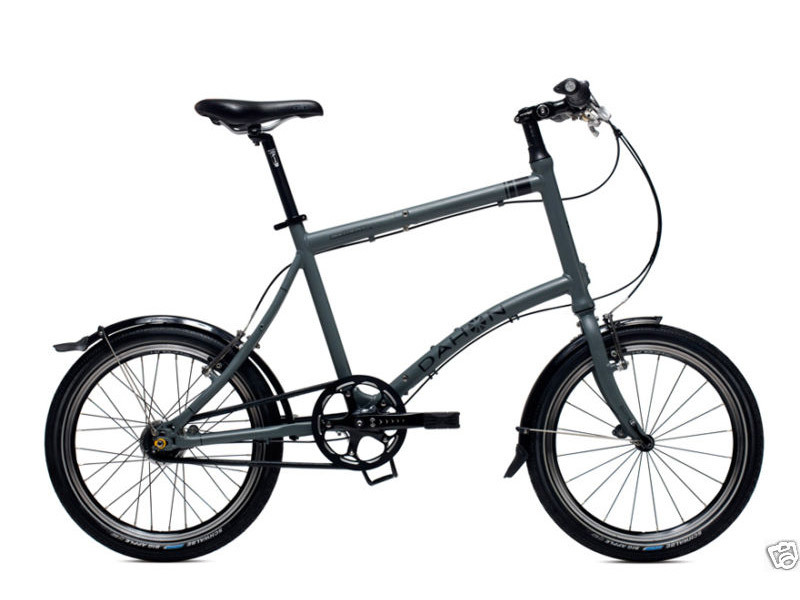 Dahon was the first manufacturer worldwide , who recognized the real potential of this solution and took over the production series in 2010, since 2012in Josh Hons Tern and other brands. Only for the already assembled chain. If it has a lock, start here. Roll the material through the chain carefully (see photo and follow the youtube video). The chainrunner splits itself with a small "roll bow". Set it in the axial position. Press it a little in a longitudinal direction. Cut away the excess material. Both ends need to press on to each other. Grease the chain a little with dry Teflon. But not too much to prevent sand sticking to the chain.Now with this treatment less water spray can reach the chain. A little noise at the beginning when using a new Chain Runner is normal. Other reasons for noise may be an incorrect chain alignment, contacts or damage caused by improper handling. Sometimes it helps to wipe away dust and grit. If a new chain is necessary, buy a rust free product. 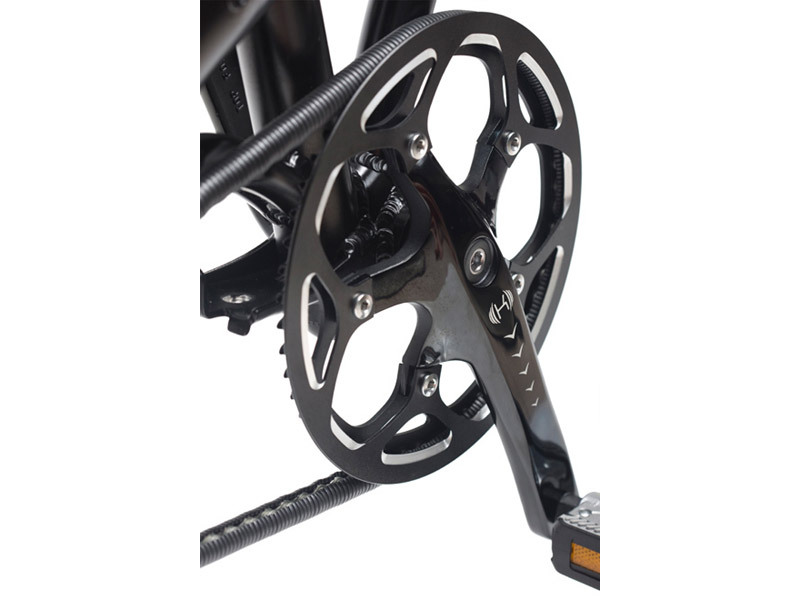 The chainrunner is reusable for several chains. 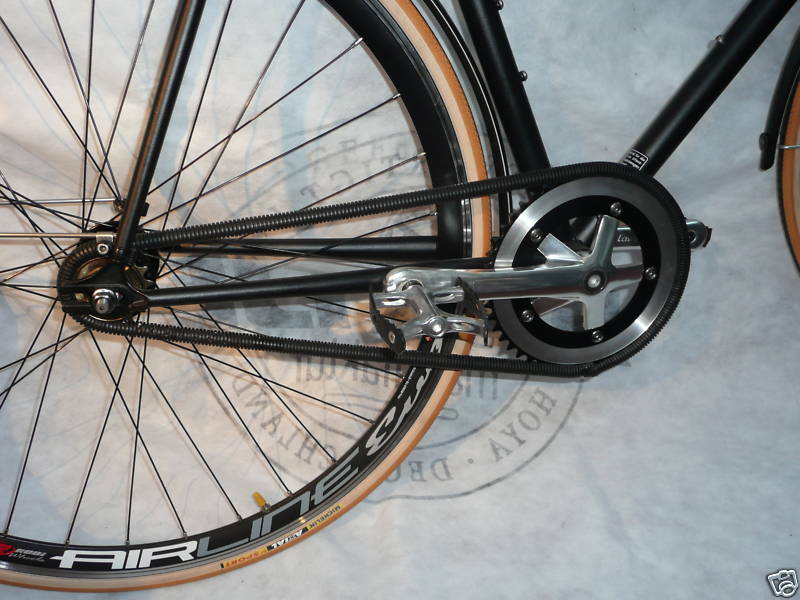 Not enough space between the chainring and chaindisk? Use washers. 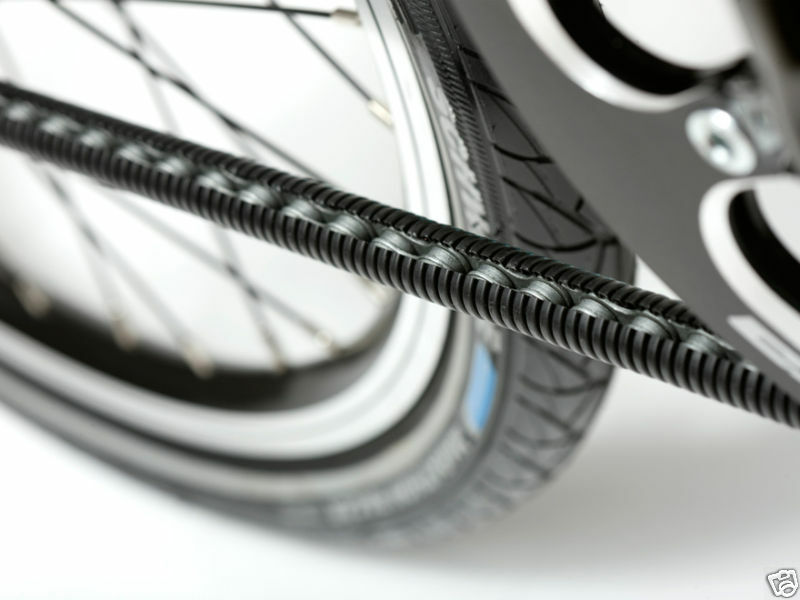 Specials: Install 2 ChainRunners in a row for the extra long chains of recumbent bicycle. 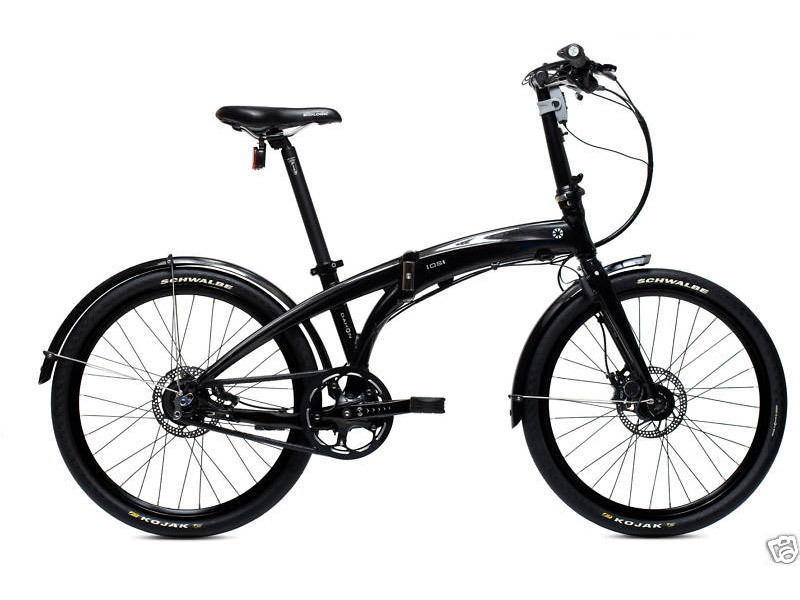 Using the chainrunner with additional chain tensioner from the top is also possible if you upgrade from derailleur to fixie or Rohloff. Click direct sales to buy the ChainRunner on eBay.